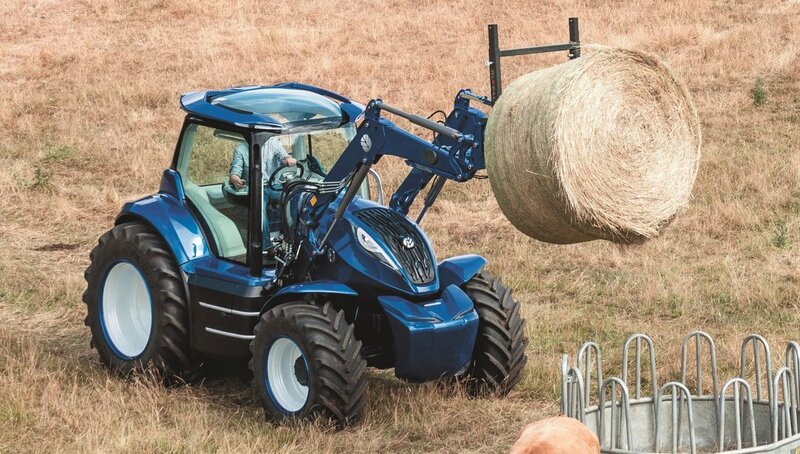 New Holland's latest methane-powered concept sees aesthetics and autonomy addressed. 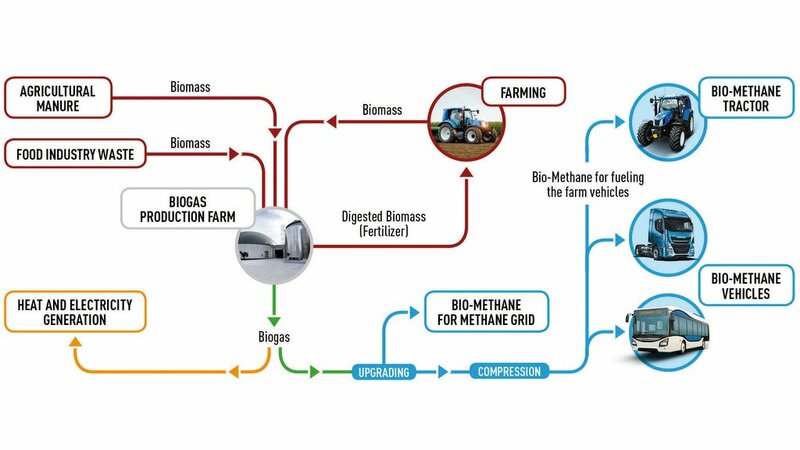 At the heart of the tractor is a six-cylinder methane-powered engine capable of delivering 180hp and 740Nm - the same power and torque as an equivalent diesel-powered engine, says the manufacturer. 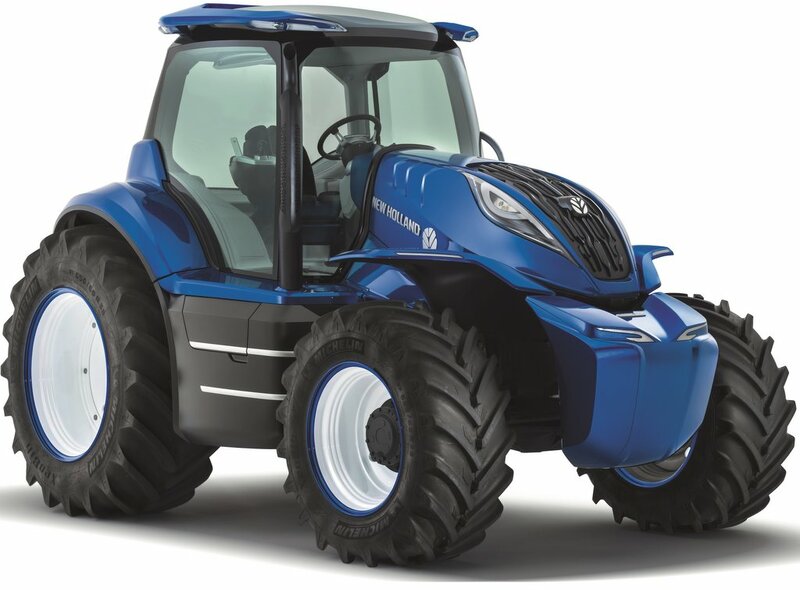 The engine was developed by Fiat Powertrain Technologies, a sister brand of New Holland within CNH Industrial, which has been producing natural gas-powered engines for more than 20 years. 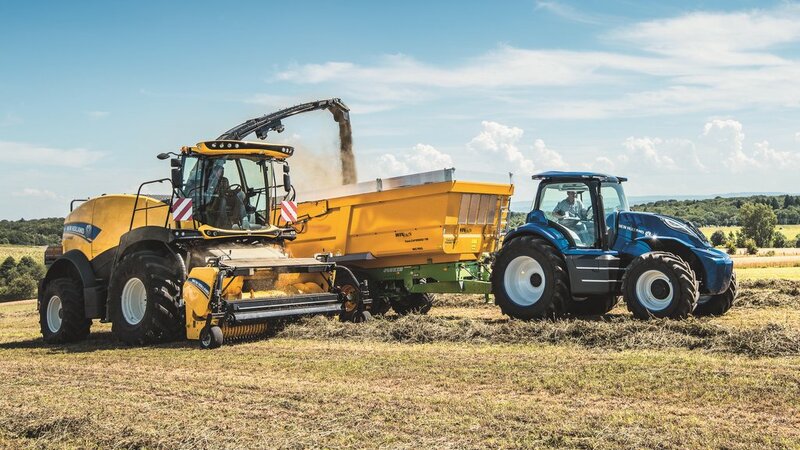 It claims durability and service intervals will be on a par with a diesel motor, but be able to achieve up to 30 per cent running cost savings. 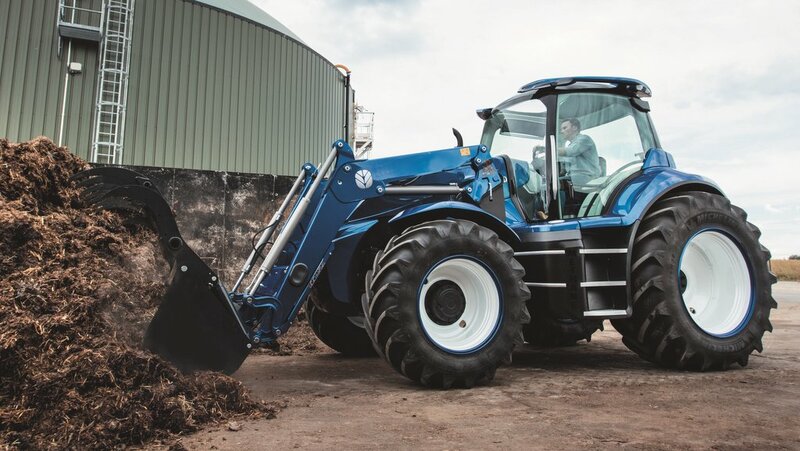 Noise is also reduced by the use of a methane-powered engine, says New Holland, with noise levels reduced by up to 3dBA. 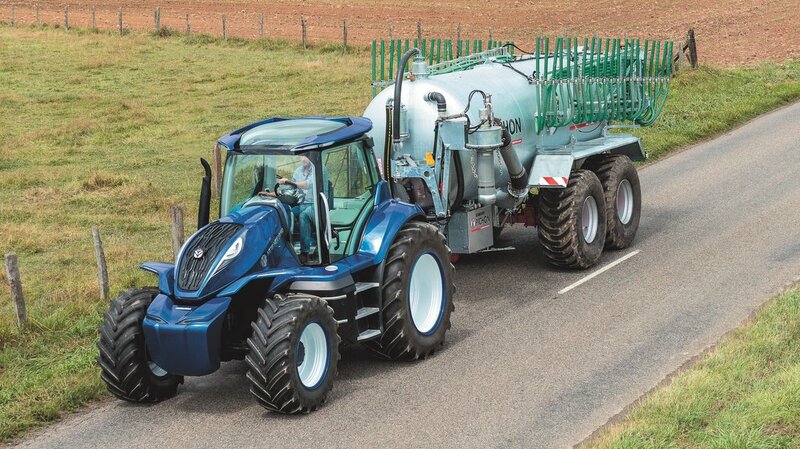 This translates into about a 50 per cent reduction in ‘drive by noise’. 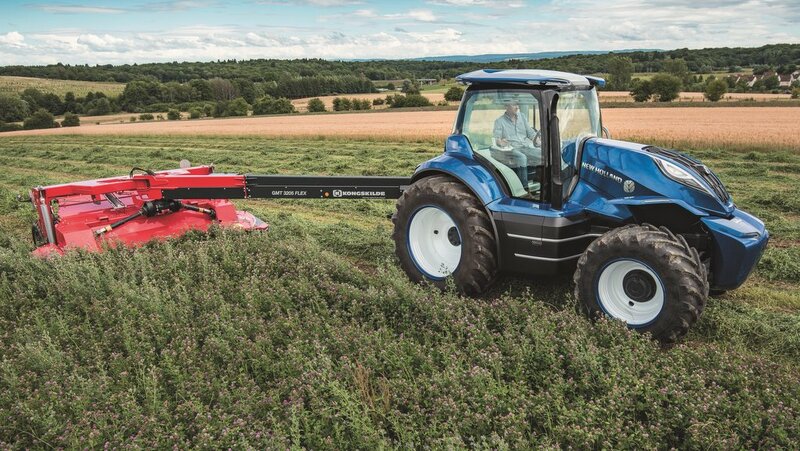 In real field conditions, the manufacturer claims the tractor produces at least 10 per cent fewer CO2 emissions and reduces overall emissions by 80 per cent compared to a standard diesel tractor. 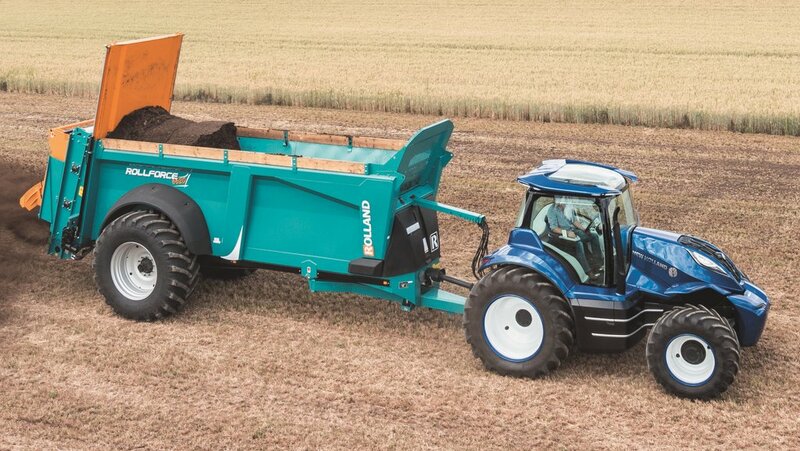 In addition, its environmental performance further improves when fueled by bio-methane produced from crop residues and waste from farm-grown energy crops, which results in virtually zero CO2 emissions, says New Holland. 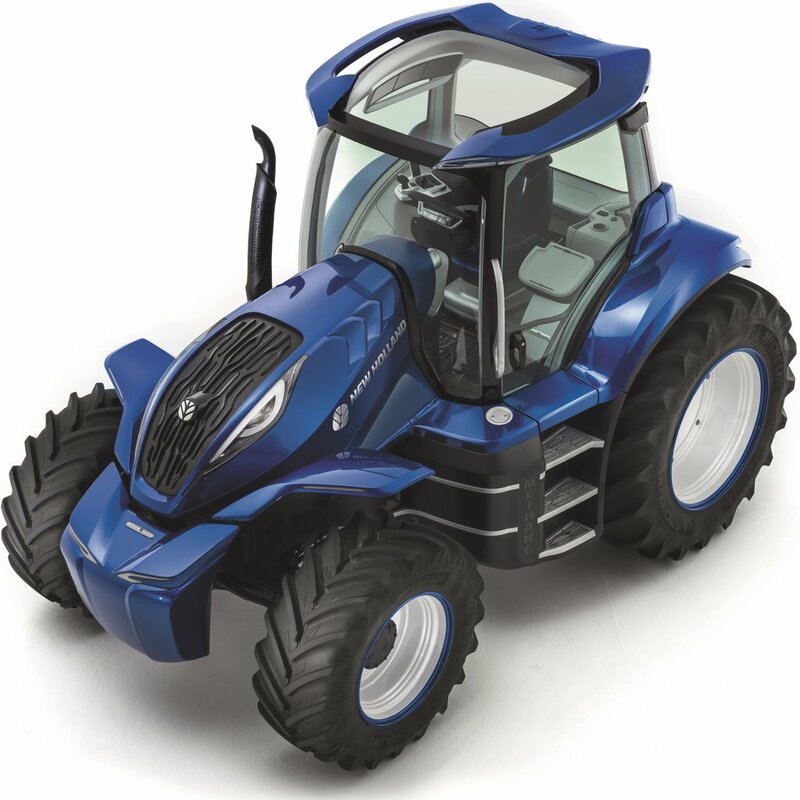 Wrap-around glazing provides 360-degree visibility, with a 20 per cent increase in glazed area compared to a standard tractor. 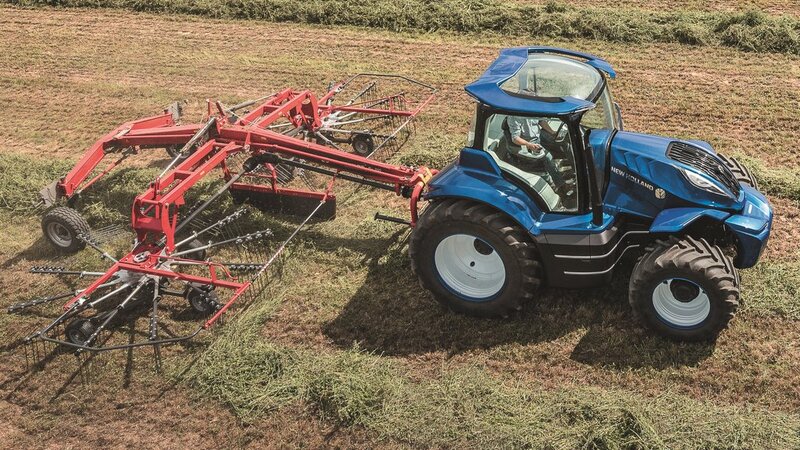 Its glass domed roof with New Holland’s fully integrated Precision Land Management receiver provides panoramic views, offering extra visibility for loader work. 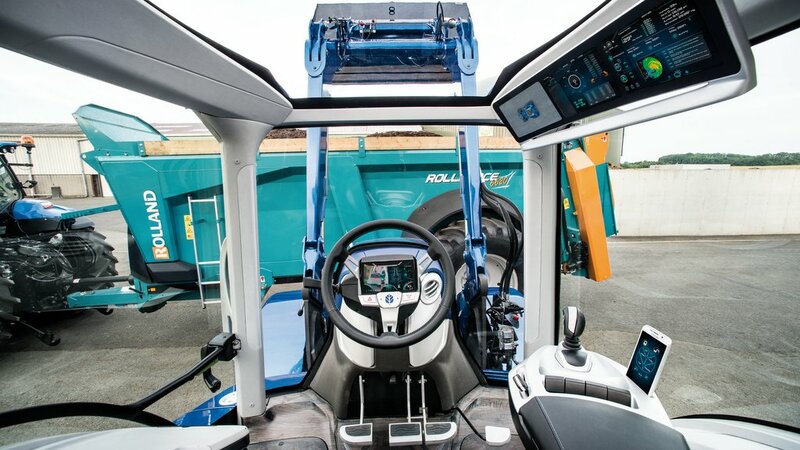 The interior of the cab has been designed to offer a clutter-free environment, with all primary controls located on the integrated armrest and additional parameters controlled through the interactive headliner display. 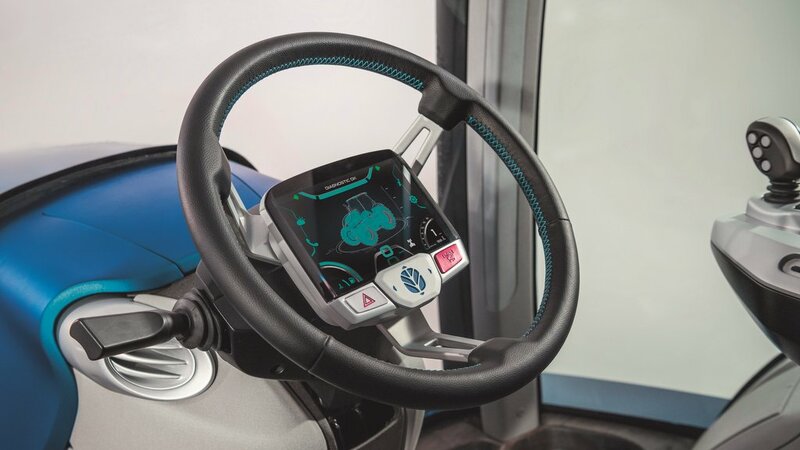 Further tractor information can be displayed through the steering wheel-mounted screen.